I guess as long as both lowpoly with normals baked on it and highpoly mesh looks good. Very cool! 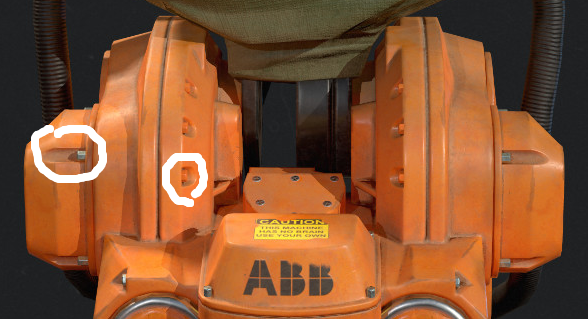 Would be interesting to know how you modeled some of those insets for the bolts. Beautiful. I like that classic 12 gauge. Looks pretty nice. I like the poster-like image, looks very professional. Maybe we'll get too see the rest of the car some day? Sure would look nice on a portfolio. Thanks! I don't know about that I hope so. Edit: Added two new images in the ArtStation page. So in conclusion no reason to switch to this? Although there might be less bugs. I would say that it's possible to do this in Painter with custom alphas (Like for instance seamless pattern that has those small dots) if you just start to texture 1x1 square. And when the normals are done, just add some leather texture below everything else.